Everybody Lies. . HD Wallpaper and background images in the House M.D. 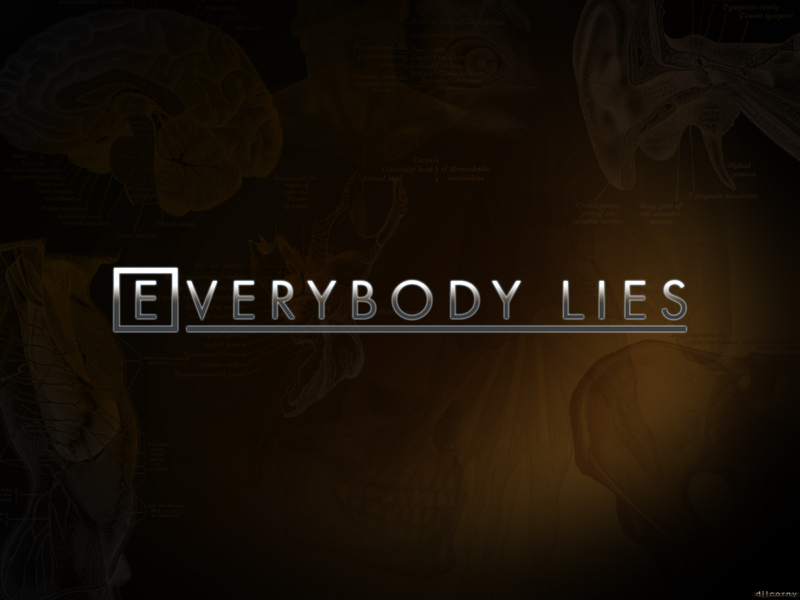 club tagged: house md house wallpaper desktop everybody lies logo quote. This House M.D. wallpaper contains sign, poster, teksto, and pisara. Oh, God, that is just too classic! On my desktop right now. :) Thanks!